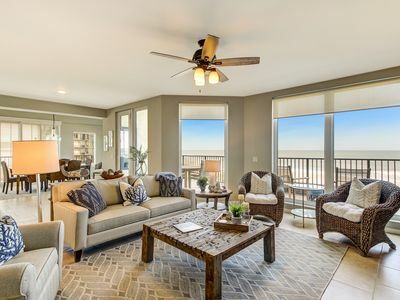 Seaview is true to its namesake. 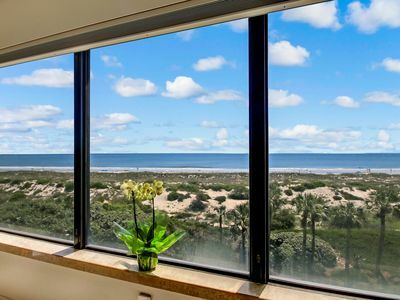 Due to is unique position along the coastline, being inside Seaview feels more like you are in nature's front row seat watching the sea turtles mosey along the dunes and the playful dolphins dance in the waves. 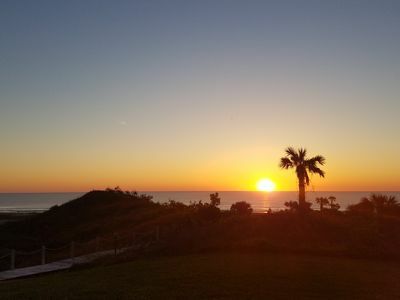 We believe vacations should be both fun and restorative. To that end, we just bought a new Sealy Posturepedic Optimum king bed for Seaview's bedroom. This top of line bedding system has OptiCool Gel Memory Foam which provides superior comfort and cooling properties not available in conventional bedding. 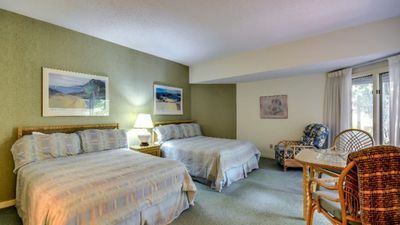 Since sleep quality is particularly important when on vacation; we also installed Hunter Douglas Blackout Shades which provide excellent room darkening for those of us who enjoy sleeping in. The Hunter Douglas Honeycomb Vertiglide Blackout Shades are on all the sliding glass doors. The living room window's blackout shade is electronically controlled by a wall mounted switch. 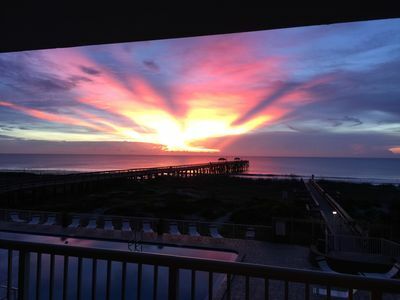 At Seaview the sounds of waves will be your lullaby as drift into a most peaceful and restorative slumber. 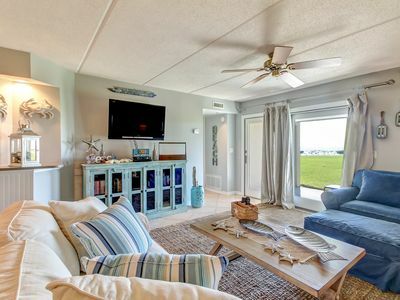 You will awake refreshed and ready to explore Amelia's charms. For your added comfort we also upgraded the flooring in Seaview's bedroom. We removed the carpet, which can trap sand, and installed a floor heat system. On top of the heat system we installed porcelain tile. The porcelain floors stays exceptionally clean as we utilize a floor scrubbing machine weekly to maintain the highest standards of cleanliness. Please note there is a separate thermostat in the bedroom to control the bedroom floor heat. The thermostat in the living room controls the central air conditioning and central heating system. We also recently upgraded the sofa in Seaview. There is now a beautiful, leather couch from Norway that has unique ergonomic functions. The couch has 3 seats that operate independently of one another and adjust to your movement. If you wish recline while seated next to someone who prefers to be seated upright; the couch will accommodate both of you - adjusting itself to your specific preferences. Seaview's bathroom has been completely remodeled. It now has an oversized shower big enough for two with a built-in bench. The commode and pedestal sink are also new. We keep it stocked with luxury grade towels, shampoo, body wash, soap and conditioner. 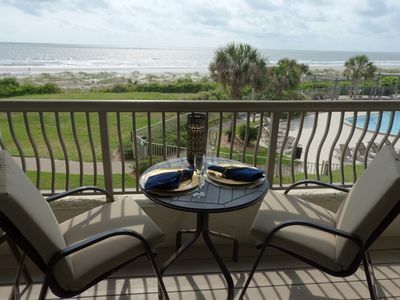 Seaview is on the 4th floor of a 7 story building in a private, gated resort neighboring the Ritz. 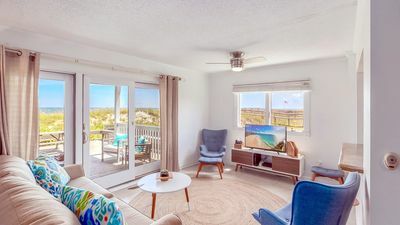 Its expansive oceanfront verandah wraps around from the living room to the generously sized king bedroom. 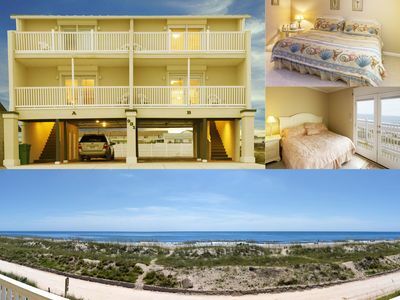 The ocean views are abundant from the living room, dining area, kitchen, bedroom and verandah. Vacations are too short and too infrequent to risk disappointment. That is why we pay just as much attention to the details as we do to the bigger elements the property. Seaview is a pet-free and smoke-free environment so that we can maintain the highest levels of cleanliness and health for all our guests. During periods of peak demand, weekly stays checking in on a Saturday (sometimes Sunday or Friday) take priority over shorter stays. 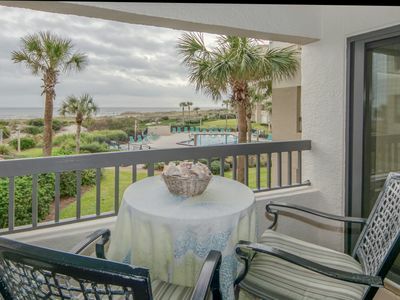 We also offer 2 other oceanfront condos at the same private club, in the neighboring buildings. 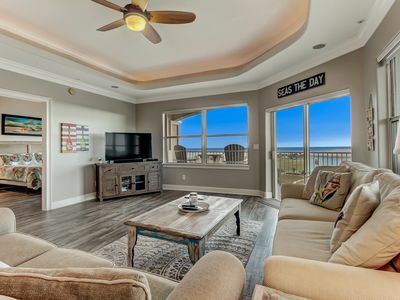 Both of these oceanfront condos have 2 king mater suites. 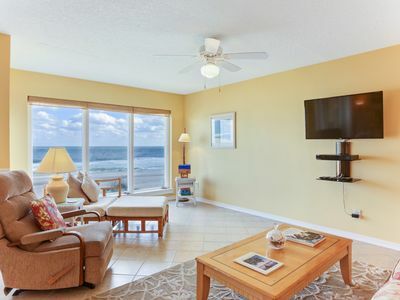 One is a completely remodeled penthouse called Oasis in which both king master suite face the ocean and there are 2 oceanfront verandahs. Oasis' listing number is #4257621. 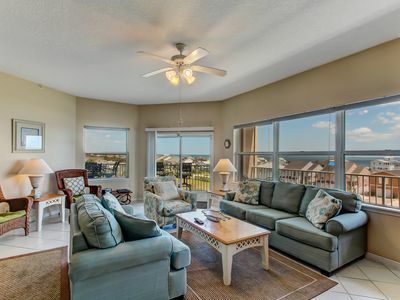 Seaview, the listing you are reviewing now, is our only 1 bedroom/1 bathroom condo. 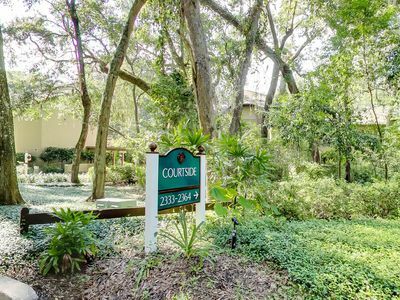 It is the perfect romantic getaway for a couple looking for a peaceful retreat. Vacations done well can render us renewed, poised for life's next adventure. 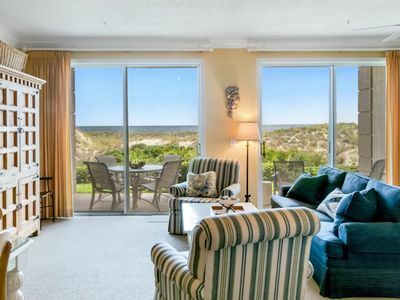 Let Seaview restore and recharge you. 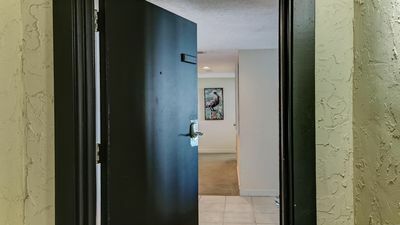 A connection to nature and change in perspective can relieve us of stress, let Seaview provide that release for you. 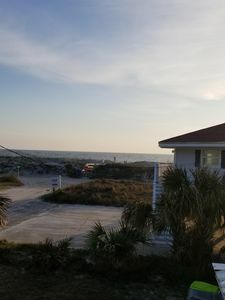 Oceanfront View with Private fishing Pier!! 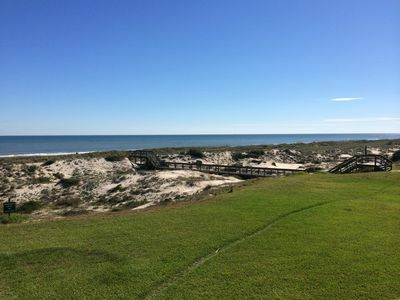 Direct, OCEANFRONT Villa in Amelia Island on The Plantation!! New Furnishings! 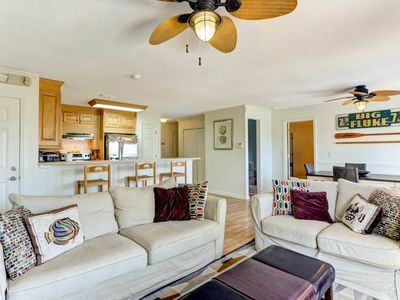 Remodeled 2 Bed/2 Bath, 3rd floor Oceanfront condo sleeps 5. Oceanfront balcony & pool. 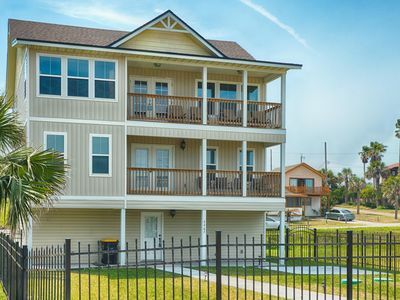 4 bedroom 2 bath house sleeps 8. Recently redecorated, PET FRIENDLY & linens provided. 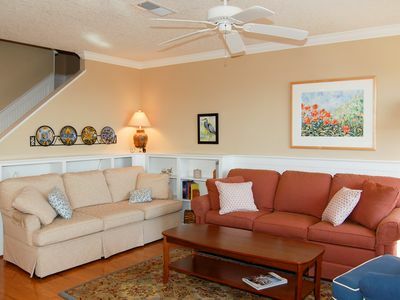 STEPS TO THE BEACH - ONE WEEK LEFT IN JUNE - JUNE 15-22 SPECIAL $1,470!!! !